Star Trek’s Captain Kirk often tells his crew to “set phasers to stun” whenever they are on important missions. This gives them more control over the situation because rather than wastefully killing the enemy, they can now negotiate and obtain further information after the stun. Comparably, heating a chemical reaction to accelerate the reaction rate is like setting phasers to kill, it may get the job done but it’s certainly not the most elegant or effective method. What if you could provide just enough energy to break the appropriate bonds and control exact product outcomes without wasting energy? Many chemical reactions are thermally driven, meaning that increasing the temperature (and other related variables) can lead to its acceleration. Yet it is often inefficient to heat the reaction because temperature is difficult to precisely control. When a reaction is heated, the molecules acquire kinetic energy and begin to move and bounce into one another. This increase in kinetic energy jump-starts the reaction, but the energy can also be lost to many other competing processes, such as the excitation of bonds that aren’t involved in the reaction. To overcome the necessity for heating a reaction, the authors present a method for accelerating ground-state reactions by exciting the reaction mixture with precise femtosecond infrared (IR) laser pulses that can interact with certain vibrational modes in the reactant molecules. A femtosecond is one millionth of one billionth of a second (10^-15). This may seem small to us but in the microscopic chemical world this is fairly normal. In fact, many phenomena happen at much faster time scales. Scientists recently measured that the time it takes an electron to be ejected from a helium atom is 7 to 20 attoseconds (10^-18), nearly 1000 times faster than a femtosecond! 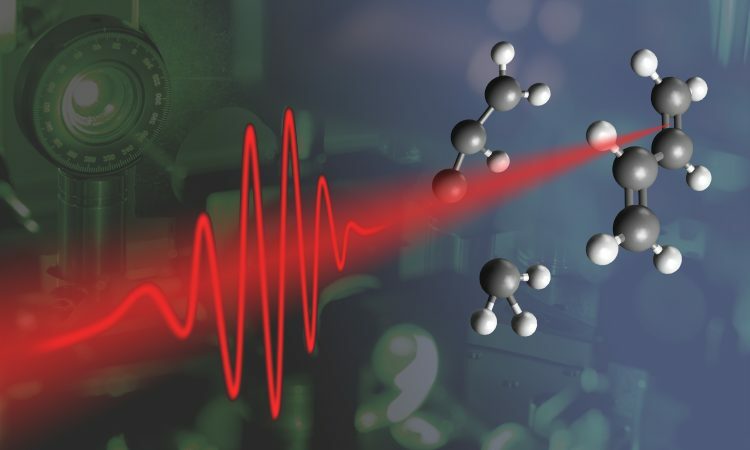 More complicated reactions typically take a little longer, however, which is why femtosecond IR laser pulses are effective for probing a chemical reaction. Photochemistry, the interaction of light and chemical reactions, is not a new technology. In fact, the very computer you’re reading this post on could not have been made without photolithography techniques that use light to create the intricate circuity that runs your computer. The findings that the authors present are different because they show that these methods can work for ground-state reactions, whereas most photochemistry involves the interaction of excited states, which are characterized by much higher energy levels and conditions. Furthermore, no one has yet shown that IR excitation can accelerate reactions in solution (liquids) involving multiple reactants. Figure 1: A schematic of the first reaction between PHI and CH-ol to yield CC, accelerated by IR laser pulses. The authors here investigated two thermally driven bimolecular reactions: the reaction between phenylisocyanate (PHI) and cyclohexanol (CH-ol) in tetrahydrofuran (THF) leading to urethane (CC), shown in Figure 1, and the step-growth reaction between toluene-2,4-diisocyanate (TDI) and 2,2,2-trichloroethane-1,1-diol (chloralhydrate, TCD) in a mixture of nitrobenzene, cyclohexane and chloroform, leading to polyurethane formation. 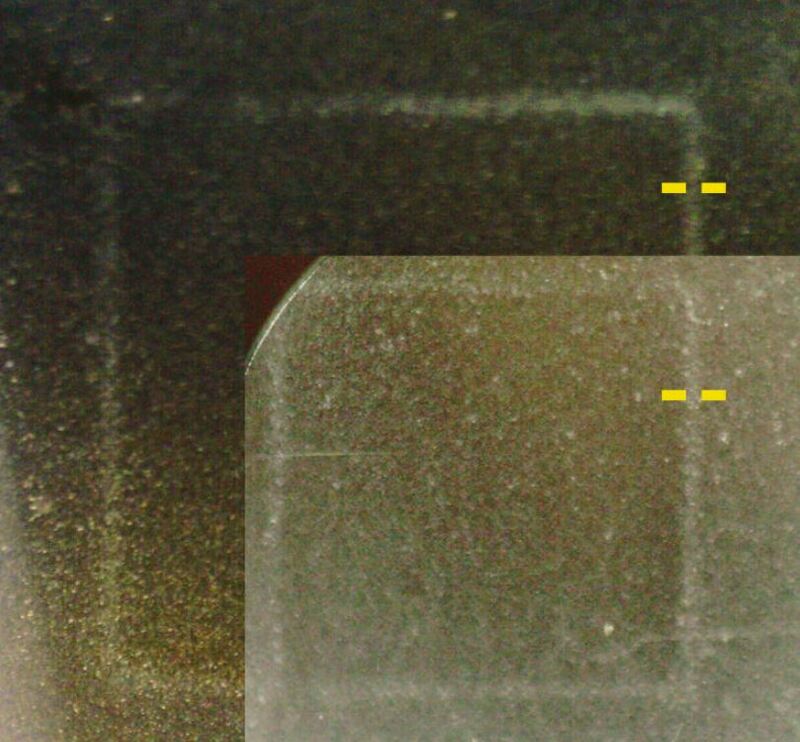 Figure 2: By controlling the focal diameter of the incoming IR laser pulses (shown by the yellow bars), the researchers are capable of precisely forming a polyurethane square frame at accelerated reaction rates. For the first reaction involving PHI and CH-ol, the authors found that irradiation by IR femtosecond laser light at 3,470 cm^-1 accelerated the reaction around 25%. This vibrational energy matches directly with the OH-stretching vibration in the CH-ol molecule (Figure 1), suggesting that the disruption of this bond is an energy limiting step in the reaction. Think of this vibrational energy as moving a Slinky back and forth so fast that the Slinky breaks and can no longer return to its original shape. For the second reaction, involving TDI and TCD, it was found that excitation of both the NCO- and OH- stretching vibrations accelerated the polymerization reaction, 22% and 10% respectively. To visualize this reaction, the authors generated an exact 2D square outline of polyurethane through the IR excitation of a reactant solution onto a thin film (Figure 2). Accelerating thermally driven ground-state reactions without heating the molecules is very difficult. By providing the perfect amount of energy to only excite the bond vibrations participating in the reaction complex, the authors can precisely control the outcome of a multi-component chemical reaction. This high control over the result of chemical reactions is extremely desirable for chemists. Additionally, using short femtosecond pulses, the researchers show that low-energy photon bursts can be effective for reaction acceleration, which is far more energy and cost efficient than conventional methods that use high-energy light sources. Since many reactions are thermally driven, the strategies presented here enable new possibilities to utilize photons to steer ground-state chemical reaction towards attractive end products such as highly structured polymers. B.S. Chemical Engineering from New Mexico Tech. Current ChemE PhD student at UT Austin, focusing on synthetic biology and metabolic engineering. Aside from music, science education is one of my greatest passions and I hope to share fascinating topics with the world through platforms like Chembites.